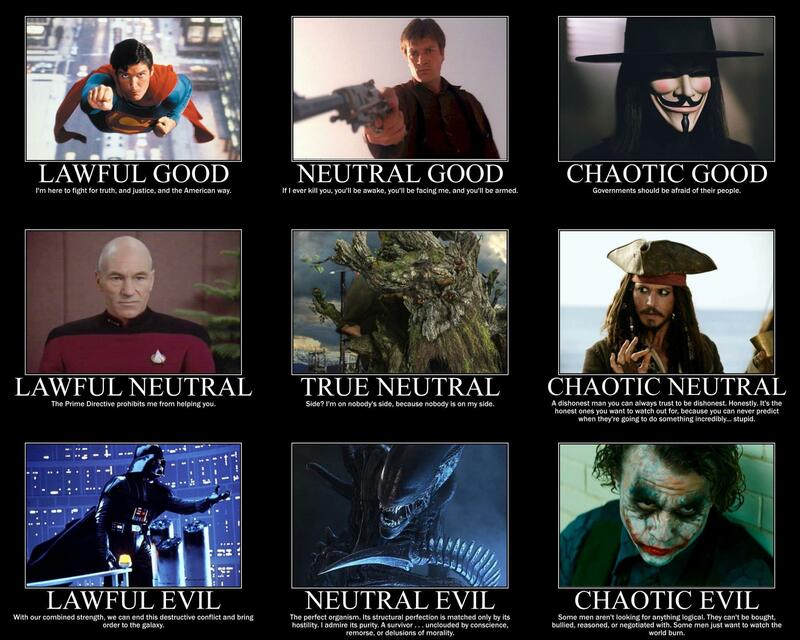 Building upon the last few weeks of breaking down the moral alignment chart from Dungeons & Dragons fame, I wanted to break down a character by their place on the axes between good and evil, law and chaos. Inspired by this article by Falcon Game Reviews I asked for suggestions on characters I could break down, but sadly got no ideas for anyone I felt confident enough to analyse in weird levels of detail. So I sat, and I deliberated while chain-watching episodes of Constantine, scrolling through my Steam Library, IMdb, Deviant Art, YouTube, my bookshelves, and any number of geeky Facebook pages searching for inspiration. Someone who’s morality and methods may come into conflict, someone compelling who would be interesting to break down. And it took until about mid-day on the day I write this for me to notice what kind of an idiot I was being. The Hellblazer, an exorcist and warrior against the dark in service to god or gods undisclosed, possibly in service to everyone. A member of DCs darkside, John Constantine might fight for the living but he has some deeply questionable methods, and while he may have the council of angels neither party is happy about the arrangement. Throughout a long career of saving the lives of mortals he has made very few friends and a damn site more enemies. He’s perfect for this. 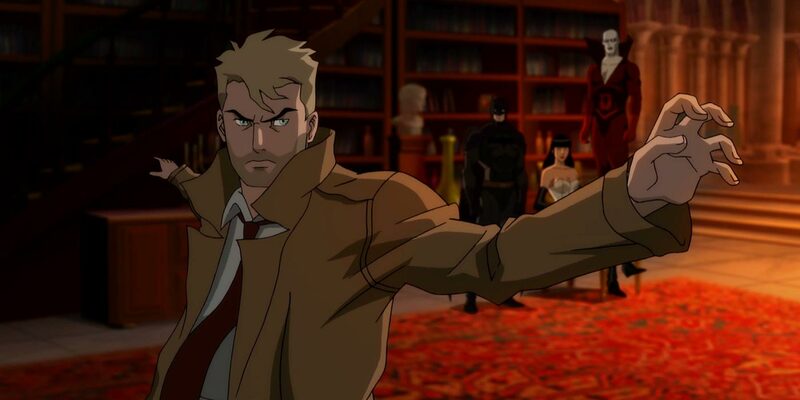 For the record I am only a dabbler in comic book lore, so my judgements here are based on knowledge derived solely from the short lived TV series and Justice League Dark, as portrayed by Matt Ryan because frankly he was a damn site more enjoyable than the Keannu Reaves version. Theoretically this should be an easy one. As a mortal agent with a constant angelic shadow we are given some very clear indications that the supernatural forces have to abide by laws that humanity need not – gifted as we are with free will. Highly knowledgeable on the many magicks available to the many ancient civilisations of the worlds and the demoniac cults that hide in the darkness of the world, John has a vast toolbox of toys at his disposal that angels aren’t permitted to use, they can’t even tell him the truth directly because that would interfere too directly with the mortal plane. So a shoe in for the Chaos category, right? So does John Constantine fall into Neutrality? Does his inherently rebellious and reckless ways make him a sure-fire choatic? Or do the rules he must abide by in order to function pull him solidly into law? This one’s much a much bigger question. Is a man who invokes black magic in the service of angels good or evil? Do blood magic and voodoo make you inherently wicked if you put them to the use of saving lives and souls? On the face of it Constantine is just plain good. It shouldn’t matter how one saves lives if the balance ends up in the positive and all other avenues have at least been given their due consideration, but John bears a cross far bigger than just a duty to the living. We always hear about Newcastle, the exorcism that destroyed him and his team of ghost hunters and scattered them to the winds and into hiding from an evil far bigger than even the great John Constantine could face down. They lost the life of a little girl, an innocent, and they have all taken their share of guilt away with them. John has worked for years to tip the balance and atone for his sin. This is a man who bound a demon lord to his body to save his own skin not five minutes after using a baby’s life as part of a gamble to extort information from another demon. If the actions of his former friends are anything to be believed then his arrogance is responsible for a great deal more than just one innocent soul, and that his arrogance and actions that built to the Newcastle incident betray a far more self-centred and egomaniacal side to the Hellblazer than his current altruism would have you believe. More to the point, his behaviour hasn’t changed all that much. During Justice League Dark he approaches an old friend who is expecting an apology, and instead extorts a favour. Do we have on our hands a man who truly straddles both sides of the line? Do ends justify means, or does there have to be a properly compassionate heart to drive an act of heroism, instead of a guilty one? 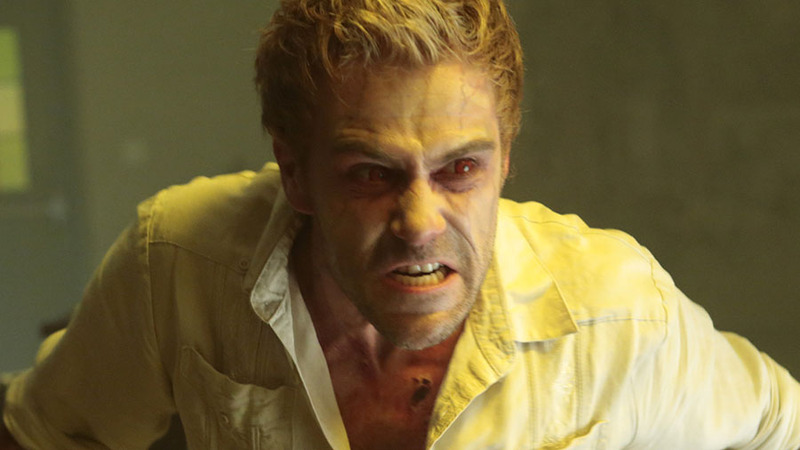 Do you think John Constantine is good, or evil? I wouldn’t have put the polls up if I wasn’t curious about your views, but here’s my theory, and a few quotes to back it up. I see Constantine as Chaotic Neutral, and here’s why. Ye cannot drink the cup of the Lord, and the cup of the Devil! That said, he’s something of a pragmatist even when confronted with ultimate and irrefutable proof of an almighty good at war with an indomitable evil he remains pragmatic, and a hard realist. Be nice to your neighbour and all that, but the world isn’t all puppy-dogs and rainbows. You can’t just pray evil away. You still have to fight, hard, on our own. He’s also a pickpocket, a liar, and shamelessly breaks in to places when he has a need to be inside. Lawful people wouldn’t dare stoop so low, and I doubt even those in the neutral bucket would be so content to jam themselves into an asylum or a mexican prison just to do the right thing. But Constantine incapacitates and mutilates an angel, trapping him in a mortal shell to make him act on behalf of humanity. That is the act of a hero with some serious edge, somebody willing to literally smash the rules and spill blood to do something right. He is far from good, but he’s damn well working on it. It’s worth bearing in mind that moral alignment is never the whole story of a character, but discussing it raises some curious insights into – not just the nature of the character – but into the nature of morality itself. If you want to read more of the examples I laid out on how to play a character of a particular alignment, all of the articles are under this tag. And check out Falcon Game Reviews, we like them. This entry was posted on May 25, 2017 by terraphi. It was filed under Comics, Entertainment, Television and was tagged with alignment, alignment axis, alignment profile, constantine, DC, Good vs Evil, Hellblazer, John Constantine, Justice League Dark, Law vs Chaos, Matt Ryan, moral alignment, Role Play, what alignment is. Really enjoyed this post. I will be referencing it for a newbie rpg-er in the future. Thank you!